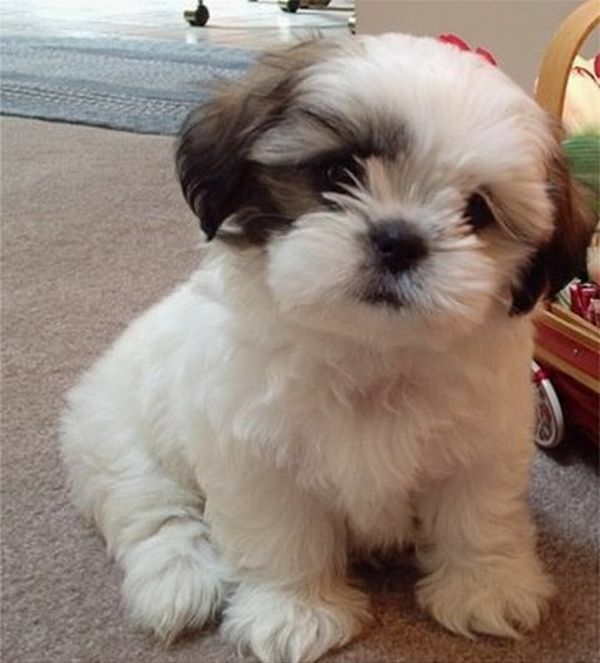 Boy this Shih Tzu puppy sure is adorable, wouldn't you agree? Whether you became awestruck by their bright eyes, their silky soft hair, or the tilt of their little round faces when they are thinking, a Shih Tzu puppy seems to cause the "love at first sight" reaction in their human friends. Although it is hard to resist scooping up one of these adorable little pups and taking him home with you, caring for a puppy is more involved than caring for an adult dog. Taking time now to plan and get things in order will make a big difference in the long run. Puppies, by nature are curious critters, so you have to make sure to puppy proof your home, as these little angels will often find things in their surroundings they will want to chew on. Things like shoes, important papers, delicate home accents, fabric tablecloths and runners, your kid’s toys, socks, underwear and yes even homework. It’s also a good idea to put things out of his reach that may be hazardous to his health, such as harmful household or automotive chemicals, poisons, houseplants that could pose health risks, electric cords anything chocolate and other foods toxic to dogs. Children should be educated regarding your puppy’s care so that no one, including your puppy, gets needlessly hurt. Keeping your puppies’ environment safe and clean will do wonders at minimizing potential hazards, and will result in less visits to the vet’s office. What You'll Need For Your Puppy? Just like human babies, puppies demand a lot of your time and attention. So, before you even bring your puppy home, you should be sure to have all of the supplies that you will need to keep your little one clean, groomed, safe, and happy. Squeaky soft toys and balls (avoid toys with removable parts, buttons, tags that can be torn) Be prepared for a bit of noise because Shih Tzu puppies LOVE squeakers! Enclosure for playing, such as a fenced yard or an area of the home with a safety gate. 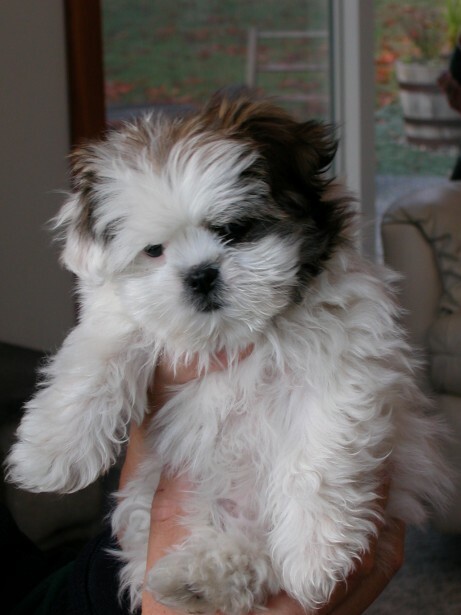 Prior to bringing your Shih Tzu puppy home, you should arrange for his medical care by selecting a veterinarian. Get referrals, if possible, and plan to be diligent with monitoring your puppy’s health. You may even want to visit the vet beforehand so that you are comfortable with the facility and to establish a relationship with the staff. 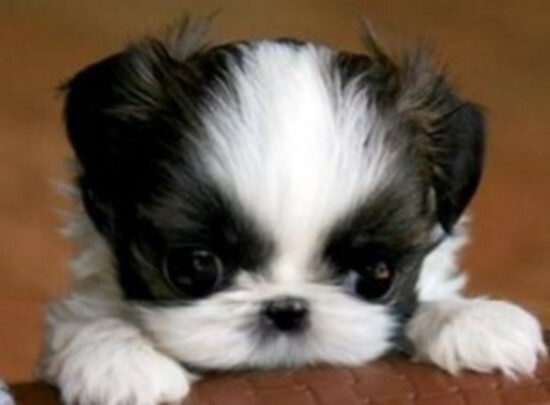 The Shih Tzu puppy is famous for being stubborn. But, no worries, eventually, your puppy will stay away from Aunt Susie’s flower pot or that cute candlestick in the foyer. But it will definitely take training for managing your puppy’s behavior. And remember he's just a puppy, and you'll need to have a lot of patience while he's learning how to behave. Socializing your puppy is very important so gently introduce her to as many new people, places and things as possible, and make it a positive experience. 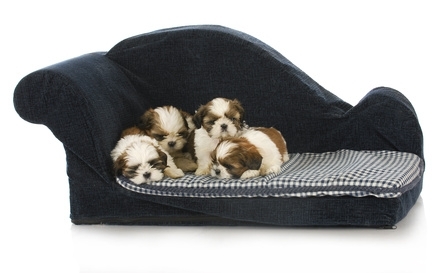 A Shih Tzu puppy makes a great addition to most households. However, you may find that once you have one Shih Tzu, you may just want to bring home another...they are simply hard to resist.